My weight condition became a reality when my neighbor took a picture of me on my bicycle. I looked extremely unhealthy. Looking at myself in the mirror everyday did not register to me that I was gaining weight. Even my adjusting clothing sizes from XL to 3XL never clicked that I was gaining weight. This was the problem. After seeing the picture, I was embarrassed to go out in public. I chose Gastric Sleeve surgery for three reasons. First, I tried almost every known diet, yet weight loss only dropped 15 to 20 pounds and my old eating lifestyle returned, as did my weight. Secondly, I have spoken to and seen individuals who went through Gastric Surgery each speaking highly of it. I did not know them when they were heavier, so I was not aware of their drastic change in weight. Thirdly, each indicated they felt better, felt healthier, more energetic, and liked the way they looked. After hearing from Dr. Erik Dutson at UCLA, in depth about what the Gastric Sleeve was, how safe and successful it was, I went away thinking, "That's for me. That's the answer for me." Dr. Dutson's staff Anna Balioukova, Program Manager, and Lauren Maddahi, Dietician, made my Gastric Surgery journey a pleasure. Everyone's mannerism was cordial, and their knowledge of my pre, and post-surgical care was as if talking to and dealing with a friend. Bottom line - Two months after my surgery I lost 80 pounds. Third month, another 18. 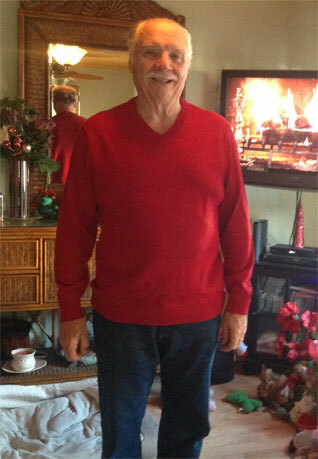 Now, after 8 months, and sticking to the suggested diet, I have maintained my 98-pound weight loss. I have a new wardrobe; back to the size I feel and look best. My energy level has increased. My ability to exercise, and to sustain a healthy routine is now mine. I highly recommend Gastric Surgery for those who want to change their lifestyle to reflect a healthy, vibrant, energetic way of life. I have found, since I have been faithful to myself in this commitment of a life change, that my doctor has removed me from all my diabetic, and high blood pressure medications, as my chemistry has changed and I no longer have a need for these substitutions for healthy living. Thank you, Dr. Dutson and the team at UCLA. 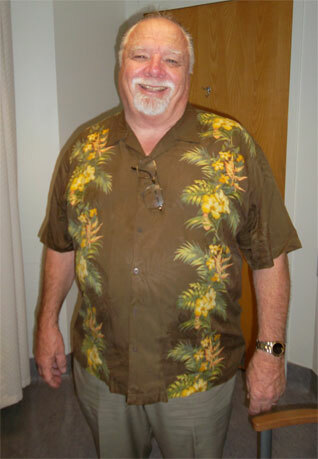 Robert, successful and satisfied patient.